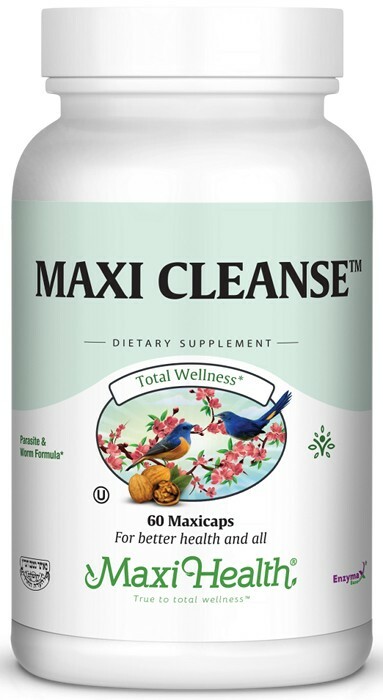 Maxi Cleanse is a combination of garlic, black walnut, white oak and onion. Garlic is widely appreciated for its health benefits. Onion contains quercetin, a potent antioxidant. Black walnut and white oak are very high in antioxidant tannins. Try this unique formulation from Maxi-Health Research® to you. Take two (2) MaxiCaps™ up to three times daily with meals, or as directed. Other Ingredients: Vegetable cellulose, Enzymax® (calcium carbonate, bromelain, papain, lipase, amylase, protease, silica), vegetable glycerin. This product contains no animal products, wheat, gluten, yeast, salt, milk, artificial flavors, colorings or preservatives. PureGar® is a registered trademark of Natrol, Inc.